This article is the second in a series for the journal Pasajes de Arquitectura y Critica [Madrid] examining the relationship of a spectacularized contemporary architecture, the city, and capital. The other two are: "Hallucination in Seattle. Frank Gehry’s Experience Music Project," Pasajes de Arquitectura y Critica, June 2001 and "A Brief History of Horizontality: 1968/1969 to 2001/2002," March 2003. This article is the third in a series for the journal Pasajes de Arquitectura y Critica [Madrid] examining the relationship of a spectacularized contemporary architecture, the city, and capital. The other two are: "Hallucination in Seattle. Frank Gehry’s Experience Music Project," Pasajes de Arquitectura y Critica, June 2001 and "Cathedrals of the Culture Industry," August/September 2002. The history of the recent world can be bracketed by two unexpected events that shattered the existing order: the uprisings of May 1968 and the destruction of the World Trade Center on 11 September 2001. Each marks our entry into another era, the bounds of which architecture and culture must set themselves to understanding. This article proposes to draw out the cultural ramifications of the contemporary moment by comparing it with its predecessor. Two architectural projects, Archizoom’s No-Stop City of 1969 and Foreign Office Architects’ Yokohoma Terminal, completed in 2002, will help us in uncovering the relation of architecture, capital, and the city today. May 1968 marked late capitalism’s attainment of the world stage. As theorist Fredric Jameson describes it in his seminal essay "Postmodernism, or the Cultural Logic of Late Capitalism," after World War II, capitalism entered a new, purer stage in which it came to permeate all forms of human life. Jameson cites economist Ernst Mandel’s understanding of late capitalism as that phase in which the most distant reaches of the globe and most archaic work practices had been reshaped by the industrialization of agriculture. Jameson continues, however, to suggest that the thorough capitalization of art, culture, and everyday life have led to a new condition in which there is no more separation between interior and exterior, even in the subject itself. Lacking any separation across which to express meaning and the end of any metaphysics of inside and outside, late capitalism would produce postmodernism, a cultural logic dominated by the schizophrenic play of the depthless, empty sign. The riots of May 1968 were so shocking because they came largely out of nowhere: not in conditions of deprivation and oppression, but rather in countries – particularly France – that were largely social democracies, possessing a nascent culture of affluence. It is, however, precisely this satiated condition that drove the young revolutionaries. By the mid-1960s, capitalists had realized the limits of a production-oriented approach. The middle class had already had its desires fulfilled. Their needs for housing, transportation, food, clothing, even in-home laundry facilities and televisions had been accounted for and, as a result, consumption began to drop off. In response, marketers began to understand that only by fully colonizing everyday life, making the creation of the self something to continually perform and re-perform through the act of consumption could capital continue to grow. To this end, the proliferation of rock music, fashion, design, and art during the 1960s is the product not so much of a rebellion against the system from outside but of capital seeking new, more lucrative, and more sustainable channels of investment. The enragés understood this as they hurled cobblestones and Molotov cocktails at the police. May 1968 was not a rebellion to seize the means of production, but rather a last ditch attempt to regain control of everyday life – what one did outside the sphere of work – even as this was being utterly subsumed by capital. While the revolutionaries lost, the regimented channels of consumption associated with the culture industry of the 1950s were annihilated. The result was a new culture industry, able to engage and exploit the desires of the youth of the day for the transgressive, the avant-garde, and the pursuit of pure sensual pleasure. The emphasis on production and rational consumption associated with organized capitalism up until that point was now obsolete. Thus, if the World Trade Center was a product of its day, begun in 1966 and finished around 1972, it was an icon for a bygone era, a monument to an economy based on industrial production in a time that had left that economy behind. Never profitable, the towers were outmoded when first constructed. Their vast bulk attempted to accommodate the needs of office planning, which, under the pressures of the cybernetic theorists of Büro Landschaft became increasingly low horizontal structures, vertical circulation being seen as an impediment to communication. Corporate office parks on the urban periphery would soon supplant the office tower as the dominant typology of the corporate headquarters. In his 1971 essay "The Fluid Metropolis," Andrea Branzi, of the radical architecture group Archizoom, based in Florence, Italy, argued that such skyscrapers were the product of a superceded form of capitalism and would soon no longer be built. In Branzi’s prescient text, the concentrated metropolis and the skyline was the product of one phase of the accumulation of capital, acting as a natural record of its accumulation. The skyline represented the capitalist system to an exterior but, with the loss of any uncapitalized exterior, the need for representation disappeared. Branzi concluded that the total permeability of the territory by capital and the growth of telematics would do away with the city as a terminus. No longer viable as a place, the city would become a condition, existing not as a physical entity but as programming. Archizoom elaborated on this in their 1969 No-Stop-City, an extrapolation of the postmetropolitan urban condition – that was simultaneously utopian and dystopian. By pushing Branzi’s diagnosis of the post-urban condition to a limit, No-Stop-City became amoral and without qualities. Modeled on the supermarket, the factory, and the horizontal plans of Büro Landschaft, No-Stop-City was envisioned as a "well-equipped residential parking lot" composed of "large floors, micro-climatized and artificially lighted interiors." Without an exterior, these "potentially limitless urban structures" would be "made uniform through climate control and made optimal by information links." Rather than serving to identify a place, No-Stop-City would be a neutral field in which the creation of identity through consumption could be unfettered. Much like the process of Freudian therapy, No Stop City was to serve as diagnosis and cure. To name the problem – that late capitalism had no use for the traditional city or for qualities of place and that the creation of the subject through consumption would to a new, less alienated form of homogeneity – would be to allow its supersession. The result would be a proliferation of sublimely useless objects connoting status and "architecturalness" through the applied facades of postmodernism and the spectacular fragments of supermodernism. Branzi’s diagnosis was correct: the project of the city had come to an end, at least as far as architecture is concerned. The Twin Towers were among the last significant skyscrapers constructed in North America or Europe. Such construction has moved to the newer economies of Asia where it seems a record of capital’s achievements is still desirable, for now. Moreover, the pursuit of difference has led to a new homogeneity, if one in which alienation is experienced only nostalgically, as affect. Fast forward by a generation. An architect and planning historian, the writer of a doctoral dissertation on "City Planning in the Syrian Town of Aleppo," born in September 1968, Mohammed Atta leads a successful conspiracy to destroy the World Trade Center. If the spectacular nature of this attack is compelling, its aftermath cements the supersession of the capitalist metropolis. The continued threat of such attacks – amplified in Europe by the targeting of the Pirelli Tower in Milan – means that nobody wants to work in such tall structures for fears of safety. While developers, architects, and politicians propose to rebuild the towers, the reality is much harsher: no insurance company would ever consider such a risk and few tenants, if any, could be found above the fiftieth floor. Corporations have understood that to be visible is to be a target, and not always of terrorism. If the most recent readily identifiable tower to be constructed in New York was Johnson/Burgee’s AT&T building of 1979, rather than ensuring the corporation’s place as a government sanctioned monopoly, the structure seemed to magically draw in the Justice Department to break up the entity which was then forced to sell the structure to the Japanese firm Sony. Visibility is no virtue in the late capitalist society: the first outrageously tall skyscraper of the twentieth century, the 792′ tall Woolworth building, completed in 1908, emptily symbolizes a chain of discount stores that closed in 1997, mainly due to competition from Wal-Mart which replaced the now-empty symbolic value of the towering corporate headquarters with the real economic utility of a computer database reputedly second in size only to that of the Pentagon. Surely a symbol of the new economy would have been a better target than the outmoded structures of the World Trade Center, but where to find such an architectural icon? The suburban corporate headquarters of companies such as Wal-Mart, Microsoft, or Intel are deliberately outside of public view. Moreover, the weeks after 11 September demonstrated that the late capitalist economy is anything but reliant on the urban center. With its main offices uninhabitable after the destruction of the towers, The Wall Street Journal’s reporters and editors went online with their laptop computers to put out the next day’s edition. A month later, Dow Jones, the newspaper’s parent company announced that the Wall Street Journal would relocate half its staff permanently to New Jersey. And although Wall Street was closed for a week and many investment banks and stock trading companies, located in the towers, were destroyed during the attacks, trading reopened on September 17 due to the redundant systems kept off-site. Even Cantor Fitzgerald, a trading company that lost some 700 of 1000 workers based in the city because of the attacks was able to resume operations one week later. Having visited Manhattan three times since the attacks, I sense an unmistakable change in the city. The loss of the ever-present symbols of production of the World Trade Center together with the remarkable cleaning-up of the city over the last decade has made it much more a European historic core than the American production-machine it once was. Endless shops and bistros with chalkboards outside, entire stretches of the city converted to an upscale shopping mall underscore the shift in the city from a center of production to a site of consumption. It is no accident that the most talked about structure opened in Manhattan during the last year is OMA’s Prada Store. Al-Qaeda’s terrorist attacks failed to destroy the world center of capitalism. Its collective psyche was shaken and damaged to be sure, but beyond a few billion dollars of losses and an ominously deepening recession, capitalism was unaffected and the markets resumed operation swiftly. The failure of the attacks to do sustained economic damage validates Archizoom’s predictions: it is the invisible, placeless world of the network and the database, now indistinguishable from capital itself, which characterizes this second phase of late capitalism. If Archizoom’s No-Stop-City was a prophecy for the future, our current period seems to be singularly averse to such thoughts. In hopes of better understanding our contemporary condition, however, we could turn to one architectural prophecy of the present that specifically sets out to deal with the relationship of architecture and late capitalism, Foreign Office Architects’ Yokohama Terminal. To begin our discussion of this project, we start with the observation that the structure’s relationship to the visible – and to prophecy – is particularly fraught. In the seven years since FOA won the competition, images of the virtual Yokohama Terminal have been reproduced to the point of overexposure. Accompanied by a relentless celebration of the Terminal as the first product of a new generation of very young, computer-driven practices, these images force us to pit the reality of these drawings, or rather, renderings, against the reality of the building. Given that the built project and the renderings both stem from the same computer model – modifications for construction aside – then the Yokohama Terminal has already existed for some time now. But not entirely: now that the defamiliarizing effect of the enigmatic renderings of black silhouettes on a deformed gridded field has worn off and become familiar, it is an astonishing physical quality of the structure that strikes us. Shrinking down and away onto the water, the structure pulls the observer out onto the surface. But these are the qualities of a bridge or highway, not a building. The Yokohama Terminal distinctly fails to develop a façade or any kind of iconographic quality. Far from being a shining exemplar of the new, Maya-driven era of the blob – if that era will ever arrive – the project is anti-formal, indeed, anti-appearance, infrastructural rather than architectural. Toyo Ito, who served as one of the jurors, understood the infrastructural nature of the building and applauded it. In contrast to the common reading of the Yokohama Terminal as a virtuoso work of formalism, Ito suggests precisely the opposite: "In this proposal the concept of façade does not exist. É In contrast to this posture [the monument exemplified by the Sydney Opera House], the proposal by [FOA’s] Zaera Polo and Moussavi formulates an architecture where the form hardly has significance. It could be called an "architecture without exteriors.’"  For Ito, the Yokohama Terminal acts as not a self-sufficient entity but rather as a state between two geological conditions, the undulation of the slabs creating a union between fluid ocean and solid land: "The architecture is nothing more than a point of passage, an instrument of change of velocity between modes of transportation or aspects of nature." The reconception of the building from monument to infrastructural mediator is FOA’s response to the competition brief’s urging of designers to consider the project as ni-wa-minato, a mediation between the local condition of Yokohama and the global flows of the cruise ships and between the garden and the harbor. Thus although advocates of Maya-driven architectural form point to the Yokohama Terminal to validate their visions, FOA saw the project’s goal of mediation realized not through form but rather through the materiality of the object. FOA writes: "Our proposal for the new Yokohama terminal aims for an artefactual rather than a representational mediation between the two elements of the concept." In this, FOA distinguishes themselves from other surface-complex architecture, arguing that they conceive of architecture as "not a plastic art, but the engineering of material life." Echewing the spatial effects of Frank Gehry, who sees himself as a master-builder, attempting to implement his vision as directly as possible, FOA’s focus is on building program and the process of construction: "our main priority is to produce consistency in the process of construction and material organization." The Yokohama Terminal points toward a reconsideration of contemporary architecture and its relationship to the city. The era of the architectural spectacle is past. Even in the most celebrated case of spectacular architecture, the Guggenheim-Bilbao, what is really remarkable is the alliance of private and public capital that made the project constructable. The dominance of the visual over the last decade is a rouse, a last irruption before architecture turns to the less visible, but more real, work of engaging with the programme and with organizational processes of construction. FOA’s Yokohama Terminal announces the emergence of an immaterial age in which we come to reject our frustrated world of objects for programming, much as Archizoom suggested we would a generation ago. As philosopher Jacques Derrida points out, "Form fascinates when one no longer has the force to understand force from within itself. That is, to create." The shimmering masterpieces of the avant-garde are only a sublime distraction from the real obsolescence of architectural form today and the clear direction that leads past it. Thomas Frank. The Conquest Of Cool: Business Culture, Counterculture, And The Rise Of Hip Consumerism. (Chicago: University of Chicago Press, 1997). On the transformation of capitalism from the regimented production of Fordism to flexible consumption of post-Fordism see David Harvey, The Condition of Postmodernity. An Enquiry into the Origins of Cultural Change, (Cambridge, Massachusetts: Basil Blackwell, 1989). Eric Darton, Divided We Stand: a Biography of New York City’s World Trade Center, (New York: BasicBooks, 2001). Andrea Branzi, "The Fluid Metropolis," Andrea Branzi. The Complete Works. (New York: Rizzoli, 1992), 50-51. Archizoom Associates, "No-Stop City. Residential Parkings. Climatic Universal Sistem" Domus 496, March 1971, 49-55. John Ellis, "The Hard Truth About New York," Fast Company, January 2002, 99. Toyo Ito, "Yokohama International Port Terminal, Architecture without Exteriors," "Terminal del puerto internacional de Yokohoma," Arquitectura sin exteriors," 2G 16 (2000), 86. Foreign Office Architects, "Yokohama International Port Terminal" "Terminal del puerto internacional de Yokohoma," "Arquitectura sin exteriors," 2G 16 (2000), 88 [note: to translator, see original 2g article for proper Spanish text]..
Alejandro Zaera-Polo, "Rollercoaster Construction", Verb 1 (Barcelona: Actar, 2001), 14. Jacques Derrida, Writing and Difference, (Chicago: University of Chicago Press, 1978), 4-5. I am indebted to my colleague Karl Chu for pointing out this quote to me. The May issue of Preservation magazine carries a story about the lure of industrial decay. Livejournal now has a large community devoted to photography of such sites. Will Detroit finally realize that it is the Athens of North America? Will Chelyabinsk and Magnitogorsk become the Bilbaos of the next decade? Lecture delivered at the Center for Land Use Interpretation, Los Angeles, 29 August, 2002 and slightly revised for reading purposes thereafter. In this lecture I propose a tentative introduction to some of aspects of what Lewis Mumford called the "invisible city," the largely unseen, underground world of cables, wires, and connections that has shaped, and continues to shape, our landscapes. As our public obsession with the visual continues at a breakneck pace – witness the mad rush to create visible evidence of Los Angeles's appearance as a global city through architectural monuments such as the new Cathedral or Disney Concert Hall – it is the invisible that increasingly determines urban structure. We stand at the dawn of the regime of the invisible. To come to an understanding of the invisible city not only at present but in the longue durée of the modern metropolis, this talk begins with a brief historical overview of the role of the telegraph and telephone in land use, then turns to a discussion of the changes in networking—in telephones and in the Internet—over the last forty years and their impact on urban life, concluding with a brief examination of the role of One Wilshire and fiber optic technology in Los Angeles. For millennia, messages could travel only as quickly as a messenger on a horse. Beginning in the late sixteenth century, rumors arose in Europe that magical devices – using "sympathetic" needles allowed people to communicate over long distances. Cardinal Richelieu, the first minister of France was thought to be in the possession of such a device because he seemed so well-informed about events in distant places. On March 2, 1791, French scientist Claude Chappe invented the first working system for transmitting information over distance. Chappe's system was composed by two perfectly synchronized clocks set some ten miles apart, the face of each divided into ten parts, each part designated with a different number. When the pointer of one clock passed over the number the sender wished to indicate, a sound would be produced and the correspondent would record the number. The first message was "Si Vous reussissez, vous serez bientot couvert de gloire." The device would be named télégraphe or "distant writer." Chappe quickly refined his telegraph, developing a more specialized optical device that did away with both clock face and sounds to communicate through semaphores. By the 1830s, a thousand optical telegraph towers formed a network across Europe, allowing messages to be transmitted from Paris to Amsterdam, from Brest to Venice. In 1850, at its peak, the French system alone included some 29 cities, 556 stations, and covered some 4800 km. The need for visibility limited the usefulness of optical telegraphs, however, preventing their function during the night or when fog and mist interfered. Research into electrical means of transmission was widely undertaken – Chappe's optical telegraph was something of a response to his own inability to make an electric device – but largely unsuccessful until 1837 when Samuel Morse succeeded in transmitting a message over a single, ten mile long wire using a simple system of dashes, dots, and silences that would eventually be known as Morse code. Even after Morse set up a forty mile-long line between Washington and Baltimore in 1846, however, his invention was received with skepticism, viewed as a novelty rather than as a new form of communication. Unlike Europeans, Americans seemed less convinced of the usefulness of long distance communication. Only with the completion of a new line between New York and Philadelphia did the telegraph began to succeed. Succeed it did. By 1850, the United States was home to 12,000 miles of telegraph operated by twenty different companies. By 1861, a transcontinental line was completed, anticipating the first transcontinental railroad by eight years and effectively shuttering the Pony Express with its ten day coast-to-coast message relay system. In 1866 a working transatlantic cable was completed. Europe's optical telegraph decline swiftly, leaving a scattering of "telegraph hills" as traces on the landscape. As might be imagined, the invention of the telephone by Alexander Graham Bell in 1876 was a quantum leap forward. By June 1877, 230 telephones were in use with the first telephone exchange or switchboard installed in New Haven in January 1879. By 1880, 30,000 and by the end of the century some 2 million phones were connected worldwide, one in every ten American homes. New machines aided them: the mid-1870s saw the development of the typewriter and, soon after, carbon paper; the cash register, developed in 1882 to prevent theft, could collect data on sales by 1884, modern adding machines and calculators emerged in the later half of the decade and in the 1890s, the mimeograph machine would allow the production of copies by the hundred. Keeping track of this explosion of paper required a new infrastructure, both human and physical. Both vertical file and vertical office building emerged and quickly proliferated as sites of storage and production of the vast new quantities of information. Along with them came explosive growth in clerks who would handle paperwork. In 1860, the US census listed some 750,000 people in various professional service positions. By 1890, the number grew to 2.1 million and by 1910 it had ballooned to 4.4 million. In 1919, Upton Sinclair dubbed these people "white collar" workers. The result was a physical change in the cityscape. Commuter rail made it possible for white collar workers to live in comfortable quarters outside the downtown city core and, as industry came to rely more and more on rail for transportation, production left the increasingly congested core for the periphery where they would inhabit buildings that, for fireproofing purposes would be physically separate from each other. Management, together with commercial sales, remained in the core, fueling the real estate market and producing the office building. Understanding that the phone was reshaping the city, phone companies and cities worked closely together, the former coming to rely on zoning for their network expansion plans. The result was an unprecedented boom in downtown business cores but, as historian Robert Fogelson has demonstrated, the rapid growth of these central business districts, so identified with the American city, also proved their undoing. As congestion in city cores rose and as suburbs grew further and further away, downtowns came to be challenged by secondary business districts and an inevitable decline began. Returning to the history of the telephone, however, we find that in 1879, fearing inroads from telegraph company Western Union, which had begun producing telephones based on designs by Thomas Edison and Elisha Gray, Bell had filed a lawsuit claiming patent infringement. An out of court settlement early the next year left Bell in possession of a national telephone monopoly that lasted until his patents expired in 1893 and 1894. This gave rise to thousands of "independent" phone companies, often serving the rural hinterlands where Bell did not want to go. By refusing to connect its lines to the independents, however, Bell insured that long distance service, still an expensive and rarely used service, was available to his subscribers only. Nevertheless, Bell's desire to eliminate competitors was not universally appreciated. The 1910 purchase of Western Union by Bell, now known as AT&T, had instilled rising anti-corporate sentiment from the Progressive movement and the threat of government antitrust action became real. In late 1913, AT&T issued a pre-emptive strike against litigation in the form of a document called the Kingsbury Commitment, agreeing to sell Western Union and to permit the independents access to its lines. Over the next decade a partnership evolved between AT&T and the government, with an understanding that in exchange for near-monopoly status, the company would extend a certain degree of benevolence to the public, delivering universal access by building a network in the hinterlands and lowering the price of service to the home. AT&T thus wound up completely in control of the long-distance lines and through its twenty-two regional Bell operating companies, controlled virtually all significant urban areas in the country. AT&T's monopoly was remarkable: the company owned both the wiring and equipment in subscriber's homes. This arrangement was not dissimilar to that in other countries where the telephone network was typically owned by the government as a public utility. This system of monopoly control dominated by voice for local calls and, at least initially, by telegraph for official, business and long-distance calls, is commonly known as the Plain Old Telephone System or POTS. During the POTS era, the telephone transformed from an élite service to a service for the majority. Universal access was guaranteed, but so was monopoly status and a relative lack of innovation. Still, in June 1968, the FCC mandated that Bell legally allow non-Bell equipment to be connected to its lines. The next year, Microwave Communications International, later MCI, would begin to offer a private network between St. Louis and Chicago. Similarly, the independent Brown Telephone Company of Kansas, later United Utilities, then United Telecommunications, and now known as Sprint, sought to compete in the long distance market. Potential competitors to AT&T in the long distance market remained hamstrung by Ma Bell's control of the lines between their facilities and the local telco's central offices. Complaints to the Justice Department against AT&T mounted until action was initiated against the corporation. In 1984 AT&T was divested of its 22 local phone companies which were transferred to seven Regional Bell Operating Companies or Baby Bells. These retained the right to sell local and toll calling in local areas and the white and yellow pages. They were, however, denied the right to manufacture or lease equipment. AT&T retained that along with its research arm of Bell Labs and the long-distance market. There has been further consolidation among the Baby Bells with SBC purchasing Pacific Telesis and Ameritech. The legal changes in telecommunications have been accompanied by innovations in networking technology. AT&T relied on copper cable: twisted pair copper for lower capacity and, by the late 1930s, coaxial cable capable of multiplexy – the transmission of multiple simultaneous messages – for long distance lines, but the pressure of new technologies and the needs of competing networking systems soon transformed this scene. Rising demand for bandwidth and fear of the havoc nuclear war would wreak on continuous wire connections led telecommunications engineers to develop microwave transmission for long distances. The first microwave line was deployed between the headquarters of AT&T's Long Lines Department at 32 Avenue of the Americas in 1947 and the Bowdoin Square building of the New England Telephone and Telegraph with seven intermediately spaced relay stations facilitating the connection. In 1960, AT&T began developing Telstar, the world's first communications satellite, which they hoped would allow them to give 99.9% connection between any two points on the earth at any time. Other engineers began working on the successor to both microwaves and satellite links: fiber optics, long and flexible rods of glass or plastic allowing the transmittal of light. As hardware advanced so did networking concepts. The development of ARPANET, which in turn gave rise to the Internet has had a major impact on thinking about networking. ARPANET was the product of an unpleasant political problem: in the 1960s, the three branches of the military would often submit conflicting body counts. When the reports seemed to contradict each other, public crisis would result. The White House asked a Cold War think tank, the Advanced Research Projects Agency, ARPA for short, to fix the problem. ARPA's solution was to link up the military computers through a long-distance network. Initially, the focus was on data-sharing – the ability to share and exchange data over a spatially dispersed area – and on load sharing – the ability to allow processing to take place on idle computers at off-site locations. The latter would be facilitated by the range of time zones in the U.S.: as one computer operator slept, an operator in another time zone would take advantage of the otherwise idle equipment. Few experts thought that communication could become a significant use of the data network and email was introduced only as a means of coordinating seemingly more important tasks. Soon, however, advocates of data-sharing and load-sharing were surprised by how much communication took place. By 1972, it would be possible to send email over the ARPAnet. It is in this milieu that American computer scientist Paul Baran promoted the idea of the distributed network and of packet switching. Working at another Cold War think tank, the Rand Corporation, Baran had become concerned about the degree of centralization common to all American communications networks, military or civilian. [A] With the loss of the center, all communications would be destroyed. Decentralized networks, with many nodes, were slightly better, but they were still vulnerable particularly once MIRV warheads (Multiple Independently-targeted Reentry Vehicles) were developed by the Soviets. [B] Instead, Baran proposed a distributed network in which each point functioned as a node and central functions were dispersed equally [C]. Data would flow over a distributed network through "packet switching." A long block of data would be divided into smaller pieces called packets, which would make their way through the network until they got to their destination where they would be reassembled. This system had the advantage of allowing individual sections of messages to be rerouted or even retransmitted when necessary and, as computers tend to communicate to each other in short bursts, this system would take advantage of slowdowns and gaps in communication to optimize the load on the lines. Baran's paper has had a curious impact on thinking about networks. Written as a defense measure against the Cold War, it has attracted Futuristic thinkers, Left-wing and Libertarian alike. The idea of any point having an equal opportunity to connect to the network and the lack of centralized control has led to the utopian dream of universal accessibility to data anytime anywhere. But this ideal of distributed networking was not to be. During the early 1970s, networks like Arpanet began to proliferate and were tied together by a single system called the Internet. The heart of the Internet was NSFNet, run by the National Science Foundation. The rapid growth of NSFNet together led the NSF to implement a model in which regional networks would communicate with each other through a "backbone." The result was a relatively dispersed model locally but a decentralized model nationally. Even though NSFnet moved away from the distributed model to a decentralized model topologically, geographically it was still highly dispersed. Universities and other non-profit institutions were its primary users and were given similar levels of service. Thus, university driven computing super-centers such as Ithaca, New York and Urbana-Champaign, Illinois were as wired as any big city. With the exponential growth of the Internet and its privatization in 1994, however, the geographically distributed model began to be reshaped as well. Driven by profit, the commercial Internet backbone system goes where the money is. Internet corporations turn to metropolitan areas, reinforcing the existing system of networking. This re-affirmation of centralization was abetted by changes in networking. By 1990, fiber optic technology surpassed satellite technology as a means of transcontinental communication and was on its way to undoing the dominance of microwave towers. But fiber is expensive and the longer its lines, the more costly they become. Interconnections are between major nodes—almost always cities. Within cities, fiber optics can be laid down more inexpensively and higher capacity, short-distance networks can be built relatively easily. Both within cities and in-between cities, obtaining right-of-way easements can consume a significant portion of the construction budget so fiber generally occupies pre-existing easements, tracing already existing infrastructural routes such as gas lines and rail lines rather than creating new ones. Akamai Corporation's business model gives an example of the dominance of intra-urban lines over inter-urban lines. The expense and low speed of inter-urban connections leads corporations with big web presences to upload data to servers maintained by Akamai in major metropolitan markets. Thus when you access a website such as CNN.com or Apple.com, you don't pull data from Atlanta or Cupertino but rather from a server near your metropolitan area's telco exchange. As the Internet has privatized, congestion at its major hubs and switches has increased. Responding to this, networking companies have established private peer-to-peer connections. Thus, a message passing from one Internet Service Provider, or ISP, to another, may travel directly from ISP to ISP, essentially bypassing the Internet itself. Naturally, this centralizes the network, privileges the bigger players, and increases the divide between urban digital hub and ex-urban digital desert. So where does One Wilshire come in? AT&T's breakup, together with subsequent legislation further deregulating the telecommunications industry triggered competition at every level. As before, the key for long distance carriers was the interface with the local system at the central office, in Los Angeles's case, the SBC/Pacbell switching station at 400 S. Grand downtown. In order to bring their competing long distance lines in close proximity, carrier MCI mounted a rooftop microwave station on the modernist tower at One Wilshire, only three thousand feet from the central switching station and at the time one of the tallest buildings downtown. With One Wilshire providing a competitor-friendly environment close to the central switching station, long-distance carriers, ISPs, and other networking companies began to lay fiber to the structure. While the microwave towers on top have dwindled in importance – they are now used by Verizon for connection to its cell phone network – the vast amount of fiber running out of One Wilshire below ground level allows companies many possibilities to interconnect. As fiber technology grew in capacity, One Wilshire became not only a staging ground for connecting to the local system, it became a peer-to-peer connection point. In the fourth floor Meet Me Room, telcos are allowed to run interconnects directly between each other without charge. The result is a dramatic cost savings for the companies that results in the highest per-square-foot rents on the North American continent. Because space in the meet-me-room is at such a premium, telcos run conduit either to other floors of One Wilshire or to adjacent structures known as telecom hotels or telco hotels. Over a dozen nearby buildings now act as telco hotels, providing space to telephone and Internet companies seeking to be near the fountain of data at One Wilshire. Tenant-owned cooling units on the roof indicate the presence of telecoms: nobody trusts the building's owner to cool their equipment. The result, in Los Angeles, has been a local revival of the formerly moribund downtown real estate market. In the space of two years recently, one such building's occupancy rose from 30% to 91%. This has been somewhat controversial as a highly-publicized down side of these teleco hotels is that circuitry and equipment do not demand a substantial employee presence. Nevertheless, there may be a benefit to this stealth occupation of the city. While they add to property values and hence tax rolls in the area, thereby allowing needed repairs to the hard infrastructure, telco hotels do not increase congestion on the streets. Moreover, Jack Kyser, the chief economist for the Los Angeles Economic Development Corporation suggests that access to this massive infrastructure will lead companies – especially multimedia entertainment companies – reliant on high-capacity digital networks to move in. This centralization of information defies predictions that the Internet and new technologies will undo cities. On the contrary, the reliance of contemporary communications on fiber creates a new centrality, a concentration of strategic resources in giant metropolitan areas, or Megacities, acting as command points in the organization of the world economy. The internal telecommunications structures in these metropolitan areas itself mirrors that of country-wide territories. Megacities will frequently bypass large areas of disconnected local populations —hinterlands that lie within. In telecom terms, a fiber-bereft desert can easily lie just a mile from One Wilshire. Uneven development will be the rule as the invisible city below determines construction above. An example of this is the re-densification and re-development is currently taking place along a stretch of Wilshire Boulevard in Koreatown, west of downtown. Extending from Alvarado to Wilton boulevards, the area known as Wilshire Center was initially zoned for multi-story residential units and developed large and elegant apartment buildings as a result. By the 1920s, however, motorists had discovered that the width of Wilshire and its lack of a trolley line made it the quickest route to reach downtown from points west. The resulting traffic made the street unattractive for residential purposes while encouraging its commercial development. The speculative apartment buildings lost value and began a slow decline. Continued congestion of downtown in the 1950s led to a revival of Wilshire Center as a business center, with back offices for banks, insurance company offices, law offices, county agencies, and other large bureaucratic organizations moving in. Even if located within the texture of Los Angeles, Wilshire Center essentially functioned as a prototype edge city and over twenty office buildings were built in the area between 1966 and 1976. By the 1970s, however, decline began again as tenants drifted westward to newer, more attractive office space in west Los Angeles. Mexican and El Salvadoran immigrants moved into the increasingly dilapidated residences and Koreans took over retail functions in the area. As poverty increased, the area became less well-maintained and crime rose culminating in heavy damage during the Rodney King riots in 1992. Remaining businesses took flight. With offices empty and streets deserted, recovery seemed so improbable Mike Davis called it "the modern high-rise ghost town." Defying Davis's conclusion, however, the area has revived dramatically in the last few years due to the presence of an invisible factor: the existing telecommunications infrastructure. In the late 1980s, mistakenly expecting that the offices in the area would continue to be viable, Pacific Bell laid down a fiber optic trunk line in the area, creating a three-mile loop from Norton Avenue to Coronado Street and equipping some thirty buildings with fiber optic links. Following the mass exodus of the offices, however, the fiber lay virtually untouched. In addition to inexpensive office rents, the low cost, high bandwidth pipes lured in telecommunications and new media companies. The latter found the location of the area, not far from Hollywood an added boon. Office vacancy rates plummeted from 35% in 1994 to 14% in 2000. Dominated by fiber, the city isn't going away anytime soon. Concentration appears more important than ever. But rather than putting our faith solely in the visible – structures like the new Cathedral or the Disney Concert Hall – we need to look to Mumford's invisible city. For the hidden world of fiber holds within it the shape of the future city. Architects, urban planners, and telecoms need to work together, not in isolation, to shape the city of tomorrow. Lewis Mumford, The City in History, (New York: Harcourt Brace, 1961), 563-567. Tom Standage. The Victorian Internet. (New York: Walker and Company, 1998), 1-21. Standage, 196-200.Claude S. Fischer, America Calling. A Social History of the Telephone to 1940, 33-37. On systematic management see JoAnne Yates, "Business Use of Information and Technology During the Information Age," A Nation Transformed. How Information Has Shaped The United States from Colonial Times to the Present, ed. Alfred D. Chandler, Jr. and James W. Cortada. (New York: Oxford University Press, 2000), 107-135. Alfred D. Chandler, Jr. "The Information Age in Historical Perspective: An Introduction," A Nation Transformed. How Information Has Shaped The United States from Colonial Times to the Present, ed. Alfred D. Chandler, Jr. and James W. Cortada. (New York: Oxford University Press, 2000), 18. Donald Albrecht, Chrysanthe B. Broikos and National Building Museum, On The Job : Design And The American Office, (New York: Princeton Architectural Press, 2000). 18. See John Stilgoe, Metropolitan Corridor (New Haven: Yale University Press, 1985) and Robert Fogelson, Downtown. Its Rise and Fall, 1880-1950 (New Haven: Yale University Press, 2001). Annabel Z. Dodd, The Essential Guide to Telecommunications, (Upper Saddle River, NJ: Prentice Hall PTR, 2002), 94-107. Stephen Gregory, "Telecom Boom Revives Declining Neighborhood; Growing Industry Concentrates Local Network Operations in Downtown L. A. Hub. But Few Workers Accompany the Facilities," The Los Angeles Times, November 17, 1998. On the role of telecommunications in the rise of the Megacity, as a start see Manuel Castells, The Rise of the Network Society, (London: Blackwell, 2000), second edition, Stephen Graham and Simon Marvin, Telecommunications and the City (London: Routledge, 1996), and Saskia Sassen, The Global City: New York, London, Tokyo (Princeton: Princeton University Press, 1991). On edge cities, see Joel Garreau, Edge City: Life On The New Frontier, (New York: Doubleday, 1991). Mike Davis, Ecology Of Fear: Los Angeles And The Imagination Of Disaster, (New York: Vintage Books, 1999), 375-377. On the adaptation and reuse of existing infrastructures for new purposes and on the role of city centers in development of telematics-rich areas, see Graham and Marvin, 290, 323-324. Nola L. Sarkisian, "Mid-Wilshire Making a Comeback; Fiber-Optic Cable Line Lures Internet Companies to Area," Los Angeles Business Journal, vol. 21, no. 39, September 1999, 1. Laura B. Benko, "Low Rents, Cable Lines are Luring Many Tenants," Los Angeles Business Journal, vol. 21, no. 43, October 1999, 53. Margot Carmichael Lester, "Market Emerging as Popular Alternative for Telco Deals," Los Angeles Business Journal, vol. 23, no. 5, January 29, 2001, 41. My page on the WOS 8 heat transfer station has been updated for the new web site. Images have been reprocessed and are much bigger. A web gallery can also be viewed here. Slashdot reports on the release of Jason Scott’s five and a half hour long DVD documentary on the History of the BBS [computer bulletin board system]. Jason Scott is the creator and webmaster of TEXTFILES.COM, a website dedicated to collecting the files and related materials from the era of the Dial-up BBS. TEXTFILES has great relics from the period such as this mock-German directive to keep your hands in das Pockets and watch das Blinkenlights. Das Blinkenlights reputedly was first posted in black gothic type on the wall of a Stanford computer facility, circa 1959, when computers had Blinkenlights. More here, including the German revenge. Of course more recently, das Blinkenlights became the topic of a building-light hack by Berlin’s Chaos Computer Club. 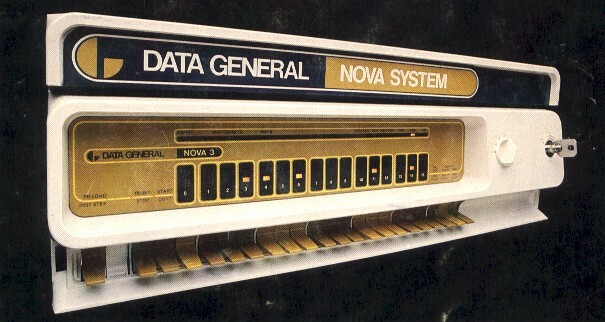 All this talk of das Blinkenlights reminds me that the first computer that I used, a Data General Nova 3 had das Blinkenlights and also required me to enter in a dozen lines of octal code via the front panel switches before it would load BASIC or FORTRAN from the tape drives. If you didn’t watch das Blinkenlights, you could set yourself up in front of one of the three ASR 33 terminals that my high school owned. No CRTs for me! Not in 1980. Nobody really understands scrolling text unless they’ve used one of these. I have updated the pages of images of Quartzsite, Arizona, a town of some 3,000 souls in the summer that swells to a nomadic metropolis with over a million RVers every winter. If Kowloon walled city, a jerry-built city of extreme congestion, served as the id for Hong Kong and all other Asian cities, then Quartzsite is the id for Los Angeles and all other generic, horizontal cities of the American southwest. Named after a misspelled local mineral resource, Quartzsite has an official population of 1,876 (1990 census) inhabitants. Every winter between October and March, however, hundreds of thousands of campers bring their RVs to Quartzsite. Setting up camp for anywhere from a few days to a few months, campers temporarily create one of the top ten largest cities in the Southwest. This is a temporary web page that gathers some of the visual material that we have accumulated on the topic. Our exploration of Quartzsite began in January 1999. Today’s Los Angeles Times carries a story about the Alexandria Hotel, the line in the sand At the Corner of Have and Have-Not and the tortured battle between gentrification, poverty, and decades-old ways of life in the eastern part of the city core.